(NaturalNews) Growing up and living in 21st century America sometimes feels as if you're being raised in a giant shopping mall. Along the city streets are the colorful pop-up signs of fast food joints. No, you can't push the X button to make the pop-ups go away as if they were ads on the computer screen. The catchy logos just don't go away, and the smell of junk food in the air is making the food cravings bead up, salivating on the tongue. To make matters worse, it feels as though the giant shopping mall has invaded your own home. Television screens flash ad after ad promoting the same colorful images of fast food. Screenshots of the food are sending urges to your brain. The eyes, the ears and the nose all beg for the sense of taste to join them in satisfying those cravings. The shopping mall of junk food America is inescapable, pulling you in like Coca-Cola sucked up a straw, pulled down into a dark esophageal abyss. At some point, today's America must look in the mirror and see what it's becoming -- a mindless, consuming monster. Isn't it time to sever the wires that connect the mind to destructive and addictive cravings? How might fast food be more addictive, more destructive than some drugs? In a new study at Lund University in Sweden, researchers have found a way to sever those wires that inject the mind with thoughts of junk food cravings. 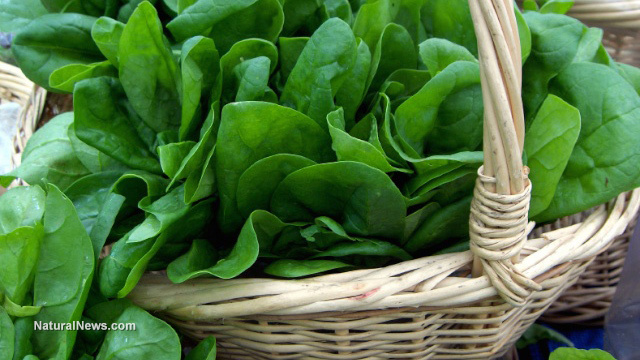 They found that a special spinach extract called thylakoids can decrease ravenous appetites for junk food. Thylakoids are essentially the green leaf membranes of spinach. In the study, the spinach extract boosted weight loss by 43 percent by decreasing hedonic hunger by a whopping 95 percent. The cravings for unhealthy sweets and fast food lead Americans down a course of diabetes and obesity, heart failure and stroke. Something as simple as spinach extract could change that destructive course with near perfect effectiveness. In the study, the thylakoids reinforced the production of satiety hormones. It's as if the spinach extract was sending in mini soldiers in for backup to suppress the monster inside salivating for junk food. The green leaf membranes bring better appetite control, encouraging healthier eating habits that boost weight loss efforts. "Our analyses show that having a drink containing thylakoids before breakfast reduces cravings and keeps you feeling more satisfied all day," said Charlotte Erlanson-Albertsson, Professor of Medicine and Physiological Chemistry at Lund University. The three-month study followed the lives of 38 overweight women. Half of the women were given a green drink containing 5 grams of spinach extract before breakfast every morning. The other half were also given a green drink each morning, but it was merely a placebo. The women were unaware of which group they belonged to and were instructed to simply eat a balanced diet. "In the study, the control group lost an average of 3.5 kg while the group that was given thylakoids lost 5 kg. The thylakoid group also found that it was easier to stick to three meals a day -- and they did not experience any cravings", said Charlotte Erlanson-Albertsson. The placebo group lost 7.7 pounds on average, while the group drinking spinach extract lost 11 pounds on average, a striking difference. "It is about making use of the time it takes to digest our food. There is nothing wrong with our digestive system, but it doesn't work well with the modern 'pre-chewed' food. The thylakoids extend digestion, producing a feeling of satiety. This means that we are able to stick to the diet we are meant for without snacks and unnecessary foods like sweets, crisps and such," said Charlotte Erlanson-Albertsson. The reason why processed junk food is so dangerous is that it breaks down so quickly, not allowing hormones enough time to tell the brain that the stomach is full. Green leaf membranes slow down the digestive process, giving the body time to communicate to the brain that it's full.